Sunlight affects our mood and work performance every day. For good and healthy conditions at work and at home, it is necessary to create good lighting and thermal conditions. Side roller cover is another product of Alaris Czech Republic, s. r. o. It is the component which provides several functions. 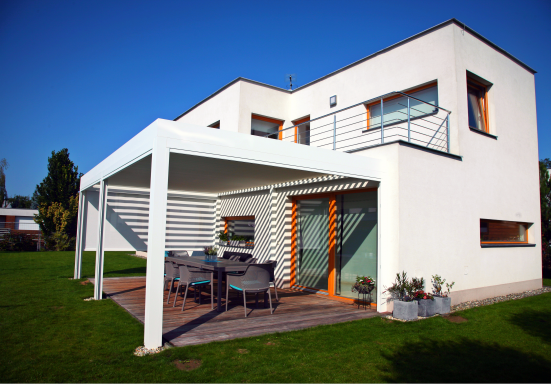 Concretely, it protects against sun, cold and thanks to the special PVC material, it protects agains rain as well. 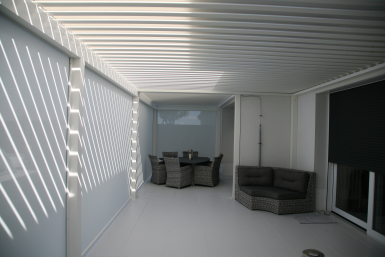 Primarily, the screen is used as one of accessories of pergola PLACEO. There is a wide range of colours which can be chosen by a customer in order to be in accordance with house exterier.